Berjaya Food Bhd, the operator of Kenny Rogers Roasters restaurants in Malaysia , is schedule to be listed in Main Market on 8th March 2011. Berjaya Food’s IPO consists offer for sale of 35.6 million ordinary shares at an IPO price of RM0.51 per share with RM0.50 par value. 7 million shares will be allocated for the Malaysian and Bumiputera public, 9.7 million shares for private placement, 14.1 million shares for eligible Bumiputera investors approved by MITI and 4.9 million shares for eligible directors, employees and business associates of the group. The IPO will raise in RM72.1 million in proceeds. The proceeds would accrue entirely to the offeror, Berjaya Group Bhd. Currently, 65 Kenny Rogers Roasters restaurants operate nationwide, of which 52 are owned by Berjaya Food while the remaining 13 are owned by independent franchisees. The company targeted to open between 8 and 10 new restaurants each year. 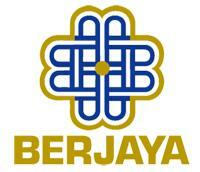 Berjaya Food adopted a dividend policy of paying 50 percent of group net profits to shareholders. At an IPO price of RM0.51 per share, the net dividend yield is estimated to be approximately 6.02 and 8.75 percent for financial year end 2010 and 2009 respectively. Berjaya Food profit after tax for financial end 2010, is RM8.7 million down from 12.6 million in 2009. Price Earnings Ratio (PE Ratio) in the same period is 6.14 and 8.92 respectively. AmInvestment Bank Bhd is the principal adviser, underwriter and placement agent while Inter-Pacific Securities Sdn Bhd is the underwriter and placement agent of the IPO. For those who are interested in Berjaya Food IPO you may subscribed at ATM machines or via Internet Banking. The subscription period is opened until 25th February 2011 at 5pm. Tentative balloting date is on 1st March while allotment date in on 4th March 2011. View Berjaya Food Bhd prospectus in Bursa Malaysia webpage. Berjaya Food Bhd stock name in Bursa Malaysia is “BJFOOD”. Interesting IPO to subscribe and the company intend to pay a good dividend. What do you think about Berjaya Food IPO? Are you going to subscribe? Yes, it is attractive to me too. If we look at IPO performance this year is rather good. All 6 in positive territory. If fact, 13 previous IPOs were in positive territory. fazt food company hv bright future rite??? From the figure above it seem a good stock to subscribe but many people say to avoid stock related to Vincent Tan. why many people avoid stock related to vincent tan??? is it related to politic @ other sentiment??? do not involve stock relating to vincent tan , u know snack behaviour ?